If you don't have a pureMix Pro Membership, you can get a sample of what you are missing courtesy of this free video clip. Watch how Vance sets up Tyler Bryant to record vocals using his SSL analog console. Recording multiple vocal mics and with a clever production trick, he uses to keep his editing process simple. Renew your Pro Membership today and save 33% on a whole year of tutorials, live Q&As, mixing contests and exclusive discounts. 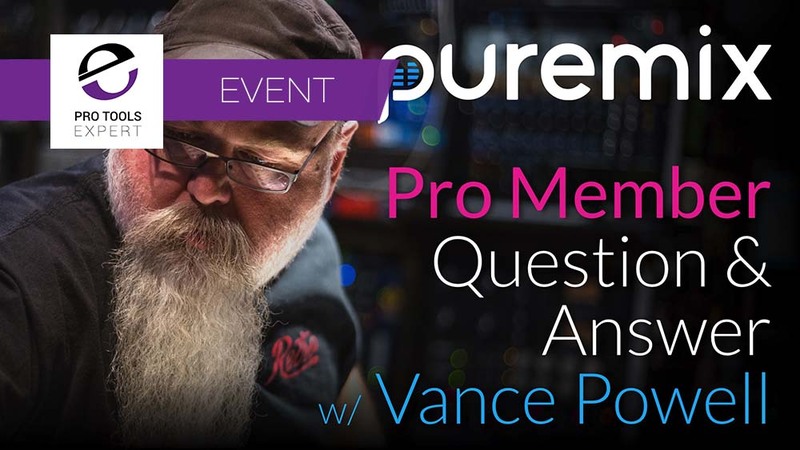 Continue to get everything pureMix has to offer: 100s of hours of tutorials, monthly mix contests, and special member's only live broadcasts (including this week's Q&A with Vance Powell).